Picked these up at Rice Honda in Rapid for $300! Had sizes 44 and 45 (I believe) left in stock as of last night. All my Motorcycle forum friends are such enablers always trying to help me spend my Money. Sidi books fit my foot like a glove and are my favorite and 45 is my size. I already have a newer pair of Sidi Discovery Gore-Tex and Sidi Adventure Gore-tex but these sure would offer a lot more protection. I already buggered up my right foot down in Baja in February when I dropped the Tenere on it in deep sand. 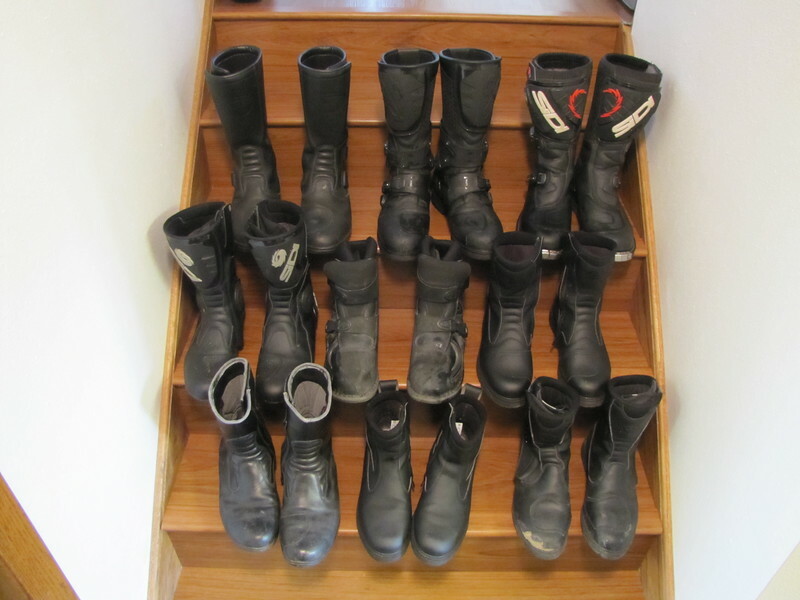 Must resist more Sidi boots, but the wife would surely never notice another pair of MC boots. that's a pretty good deal. thanks for the info. Whew! Dang it ADV Piglet you were awfully close to helping me spend $300.00. All Rice has left is one pair of size 44. I needed a boot with more protection, so was beyond thrilled they had a pair that fit me at that price. And comfortable too! New boots, improved gearing, how's anyone going to keep up with you now??? I'll be bush-piggin' myself. WR is torn apart and awaiting parts so I will be flogging the DR.